Hi, for those of you that don’t know me, I’m Tina Couch and I’m the newest member to the Windows Server team. 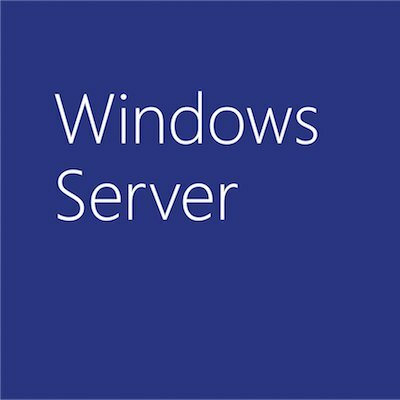 I wanted to share that today we made available the Windows Server 2008 release candidate one (RC1) for customers to download and evaluate. We’re encouraging customers to download the evaluation code here. (For what’s new in RC1 – scroll down.) So far, more than 1.8 million customers have checked out Windows Server 2008 evaluation code – WOW. RC1 is a significant milestone in the development of Windows Server 2008, and is one of the last opportunities for customers and partners to evaluate and provide feedback before our release to manufacturing (RTM), which will happen by the time of our February 27 Heroes Happen Here launch event in Los Angeles. The launch features Windows Server 2008, SQL Server 2008 and Visual Studio 2008 and the theme is focused on celebrating the incredible work that IT Professionals & Developers do to deliver heroic results to their organizations, colleagues and customers. For those of you following the company’s largest enterprise launch in history, a whopping $150 million+ worldwide for outreach and demand generation to IT Pros and developers, we’ve had thousands of partners working with us on product testing and evaluation, and are currently developing new applications, device drivers, services and solutions. And if you read the press release – Partners are also participating in training activities and working to train customers in preparation for launch. Already, more than 37 hardware and software partners have committed to supporting and participating in hundreds of events worldwide and ten partners in particular, AMD, Citrix, Dell, Fujitsu, Hitachi, HP, Intel, Quest, Computer Associates and Unisys have already invested significant time and resources to be platinum sponsors for the launch. It’s also worth mentioning that – to date – more than 140,000 IT professionals and developers have been trained on Windows Server 2008 & Visual Studio 2008 and over 3,000 have been certified on Windows Server 2008. What’s new in RC1 you ask? 2. Integrated into the forthcoming Remote Server Administration Tools (RSAT) for Windows Vista, which will be available as a separate download in the Windows Server 2008 timeframe and will work in a Windows Server 2003 environment. Together with the additional Group Policy management features available in Windows Server 2008, Starter GPOs and search/comment capabilities within the Group Policy Management Console, customers will have a greatly enhanced platform to manage their desktops and servers. Hopefully this gives you a good overview of what we announced today as well as some insight into the upcoming launch event on February 27th that we hope you’re eagerly anticipating. If you want more details, check out the website.